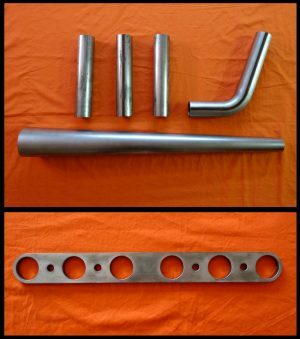 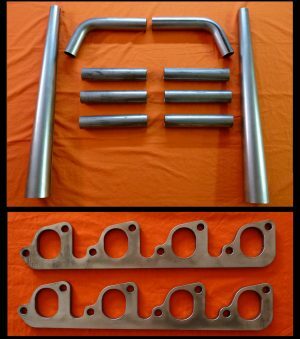 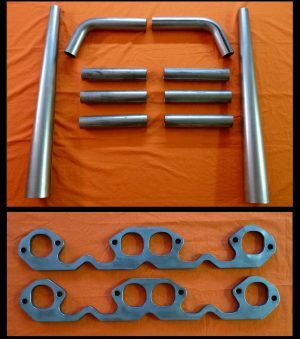 Universal 3.5″ Turnout kit includes all the parts needed to put 3.5″ turnouts on your lake style headers or custom exhaust system. 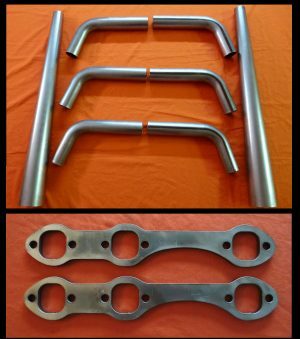 This kit will require cutting, drilling, and welding to complete but allow for complete customization and fit your specific application as desired. 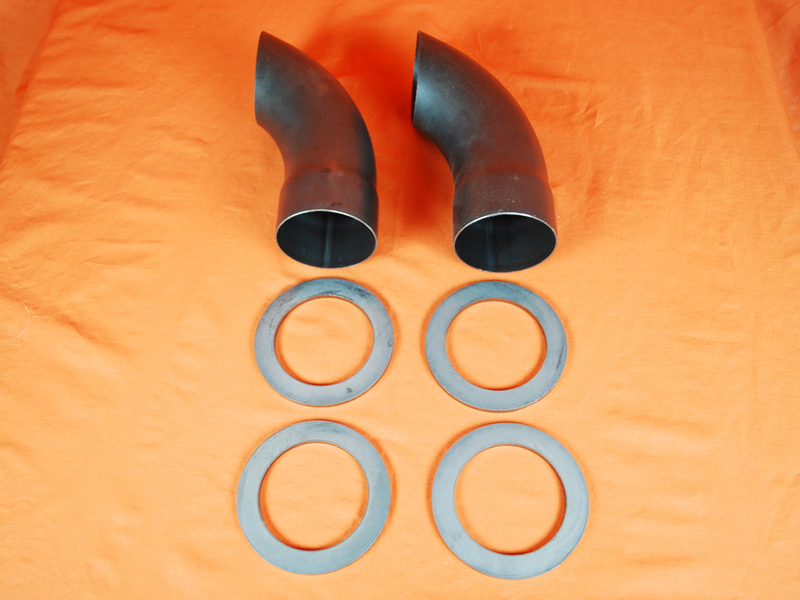 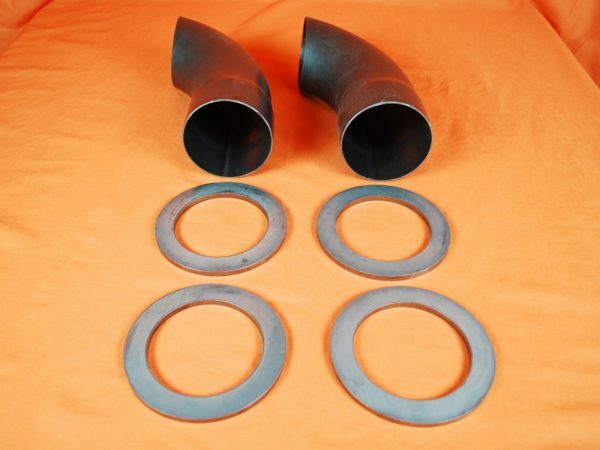 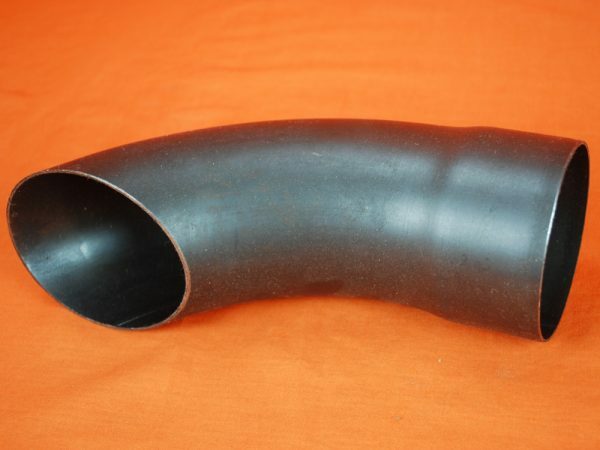 These turnouts are created by using mandrel bends so you get a nice uniform bend and do not get a crushed or deformed shape through the bend like you see from tubing benders at exhaust shops.